Travel insurance comparison site, Squaremouth, explains what travelers need to know about coverage related to the WOW Air closure. Affected travelers currently on a trip may be reimbursed for the additional costs of booking a new flight if their policy includes Trip Interruption coverage for Financial Default. In some cases, travelers may be refunded their entire trip cost in the event they are forced to cut their short. Stranded travelers can be covered by their policy’s Travel Delay benefit for meals, hotel accommodations, and local transportation expenses incurred during the delay. Unfortunately, uninsured travelers with upcoming flights on WOW Air can no longer purchase a policy with coverage for this specific event. Travelers who are concerned about future airline closures can buy a policy to include Trip Cancellation coverage for Financial Default. Squaremouth recommends that travelers purchase their policy soon after making their initial trip deposit to ensure they qualify for the time sensitive benefit. 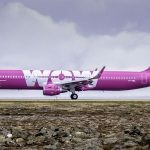 Squaremouth launched the WOW Air Closure Travel Insurance Information Center to keep travelers up-to-date with coverage for this event. This resource will be regularly updated by Squaremouth’s travel insurance experts as information becomes available.